If you have a pest problem in your home, you know the importance of finding the right exterminator to get rid of them once and for all. In order to hire the best pest control services, you have to ask the right questions. Here are 7 questions to ask an exterminator before hiring one. Before you settle for an exterminator, you should find out if they’re insured. Getting rid of pests has some dangers and you can to make sure they have insurance to cover in case of emergencies and damages. If your belongings or home gets damaged, it gives you peace of mind knowing they’re insured. You’ll want to make sure you bring experienced pest control services to get rid of your pests. Don’t forget to ask how long they have been in business because established companies have a professional track record. This also offers proof they have been in business for so long because they deliver great results. Pest Control Jupiter has been serving the community for 25 years. 3. What Pesticides Do You Use? Before the exterminator begins to work, ask what type of pesticides they will use in your home. A professional exterminator will thoroughly explain their choice of pesticides and the hazards each will present. 4. Will it Affect My Pets? If you have pets and have to hire an exterminator, you’re probably concerned if they’ll be safe from harm. While most pesticides are safe for humans, cats, and dogs, other species might be more sensitive to pesticides. If you have reptiles or exotic birds, check with your exterminator whether or not it will be safe for them. 5. Are Your Exterminators Trained & Licensed? 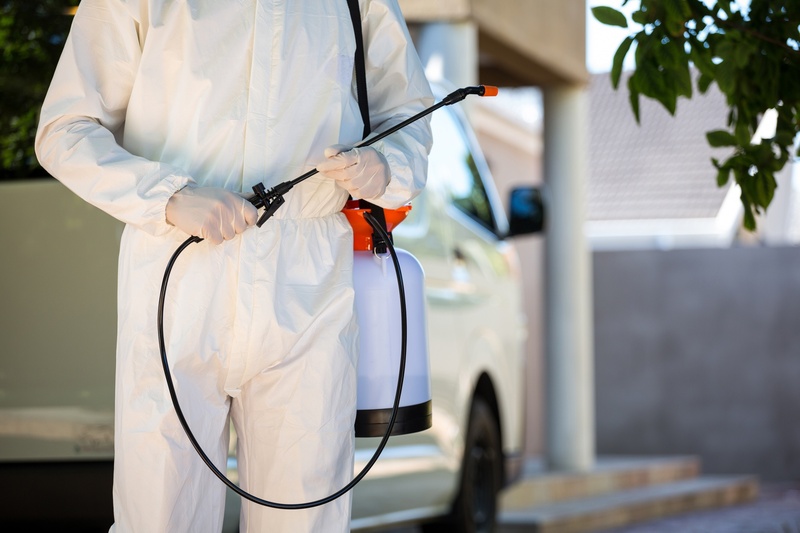 Since exterminators deal with toxic chemicals in your home, you’ll want to make sure the company you hire has licensed exterminators. The company should be able to answer this and provide certificates to confirm their claims. If they cant, it’s a sign you shouldn’t hire them. 6. Do You Have Reviews I Can Check Out? A trusted and reliable exterminator company should have reviews that prove it. Ask the exterminator if they have customer testimonials you can check out. They should be able to give them to you without hesitations. You should always conduct your own research and find reviews on Angie’s List or Yelp. Let’s say the pests come back! Although most exterminators promise to get the job done for good in the allotted time, what will happen if those pesky pests return? Ask your exterminator if they have a money-back guarantee, or if they’re willing to complete the job without extra charges if the pests come back. Asking the right questions will ensure you find the right exterminator to get rid of pests once and for all. Ask about their experience, customer reviews, proof of insurance and licenses. If you want to read more guides and helpful tips, visit our blog.